From the modern pier in Donegal Town we set sail up to three times daily depending on the tide. The large new carpark right on the quayside offers convenient parking for cars or coaches. 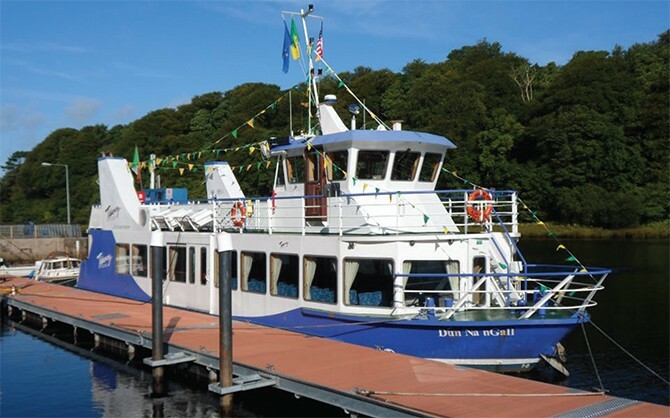 The Donegal Bay Waterbus itself is a purpose built vessel with all modern amenities including ladies, gents and disabled toilets, cushioned seating, fully stocked bar,seated upper deck viewing area, all modern safety equipment and even a small dance floor. Forget about seasickness, passengers are assured a comfortable trip and this combined with a crew with many years experience ensures all our guests have a safe and very enjoyable trip. 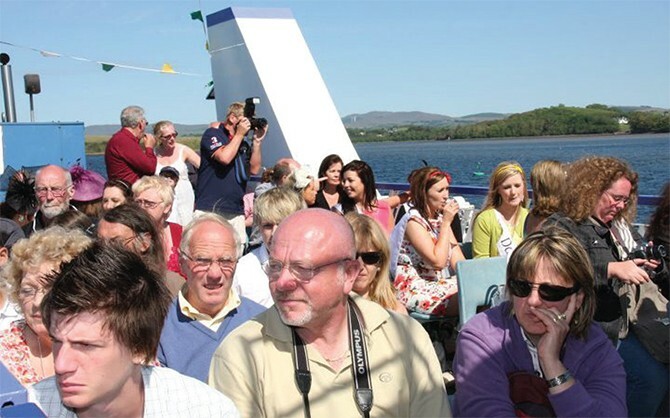 The Donegal Bay Waterbus trip lasts for approximately 1 hour and 15 minutes and includes a full commentary on the historical, natural and geographical sights view from the vessel. Check out some of their reviews on Trip Advisor.